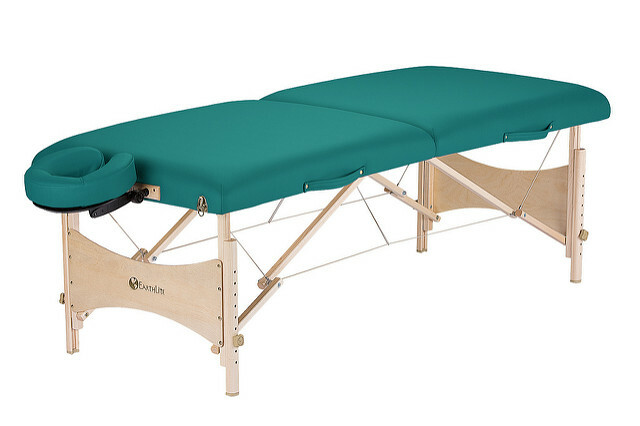 The Harmony DX, an eco-friendly yet economically priced full size table, is crafted from high quality hard Maple from managed forests and finished with earth-friendly, water-based lacquer and glues. Layered with our lightweight yet responsive CFC-Free 2 ½” cushioning system and wrapped in NaturSoft upholstery adds comfort, durability and style. 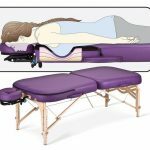 Earthlite’s renowned attention to quality and detail plus the promise of a lifetime limited warranty from the industry’s premier massage table manufacturer is the assurance of years of worry free professional use. • Managed forest hard Maple legs and braces with lightweight aircraft grade Russian Birch decking. • Luxurious, durable, and eco-friendly NaturSoft upholstery in four colors (Agate, Burgundy, Black and Teal). • Comfortable, 2 ½” dual layer, CFC free, cushioning system. 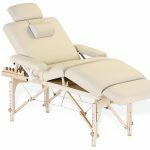 • Precision crafted by Earthlite using only water-based lacquers and glues and eco-friendly materials. • Full size table with a lifetime limited warranty. 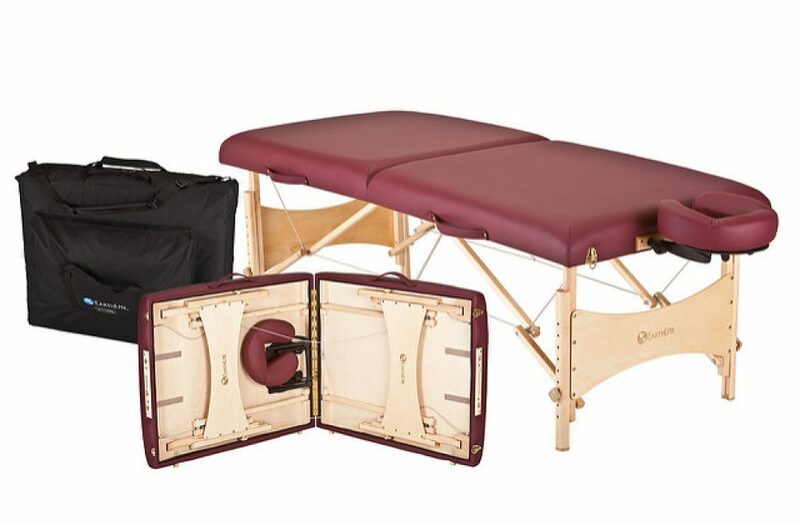 • Deluxe Adjustable Headrest with matching crescent cushion. 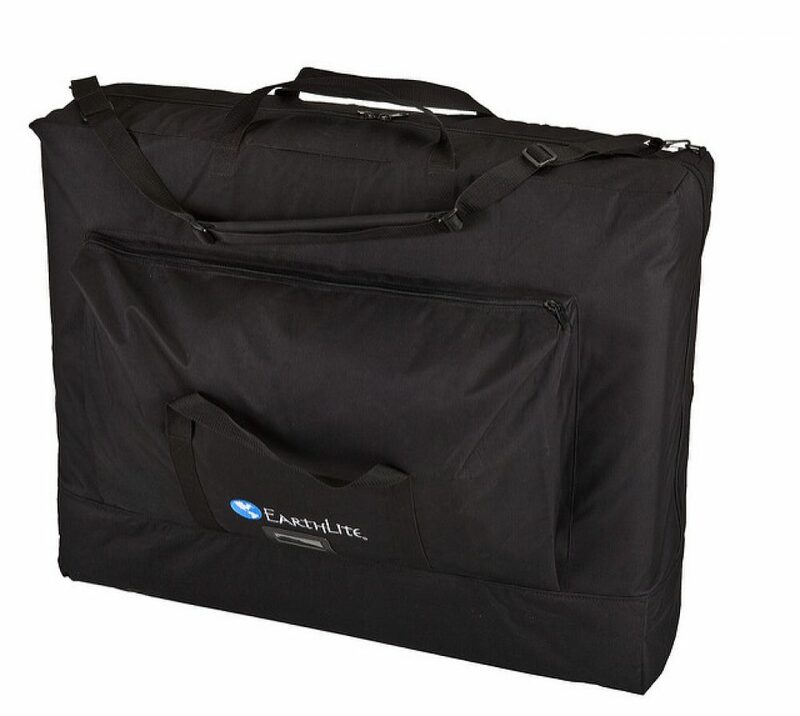 • Heavy duty, single pocket carry case.